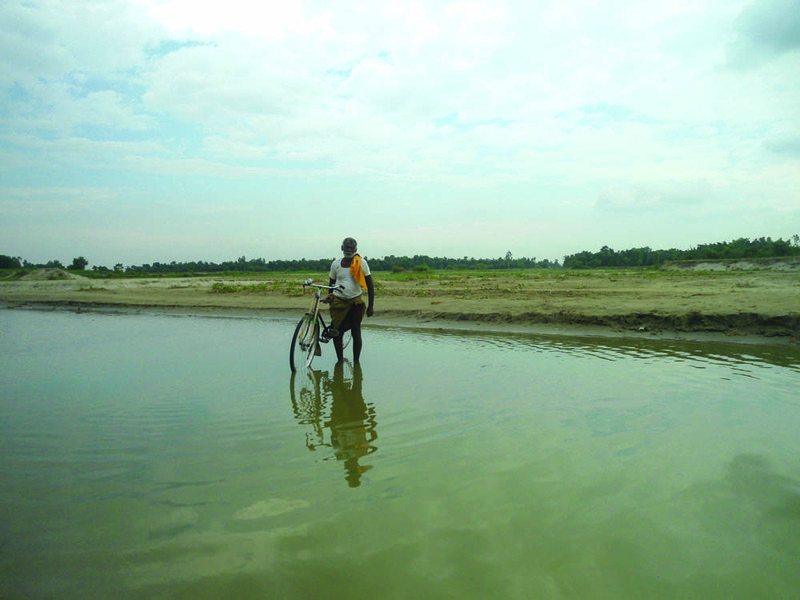 Sitamarhi district, Block Sonbarsa in Bihar has around ten villages that are connected to the nearest town by one road. But to reach that road, the villagers have to cross five rivers, none of which have a bridge. These rivers are Doba, Baaki, Thalahee, Haldi and Jheem. Sonbarsa is at India-Nepal border and some of the villages that are connected by this road fall in Nepal.